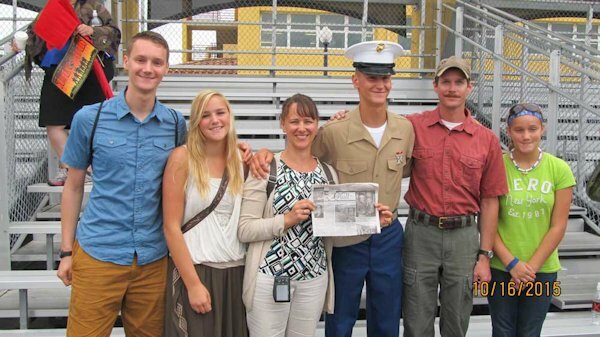 The Galbraith family took "The Quill" along when Caleb Galbraith graduated from the Marine Corp Recruit Depot in San Diego, California on October 16, 2015. Pictured is his brother Steven, sister Jessica, mom Melissa, Caleb, dad Scot, and sister, Abby from Prairie du Chien, Wisconsin. They enjoyed the week seeing the sights in San Diego, attending Marine Family Day and Marine Graduation. When you go on a trip, take "The Quill" along and have your picture taken with it, and send it to us. Let's see where all the Quill can travel. 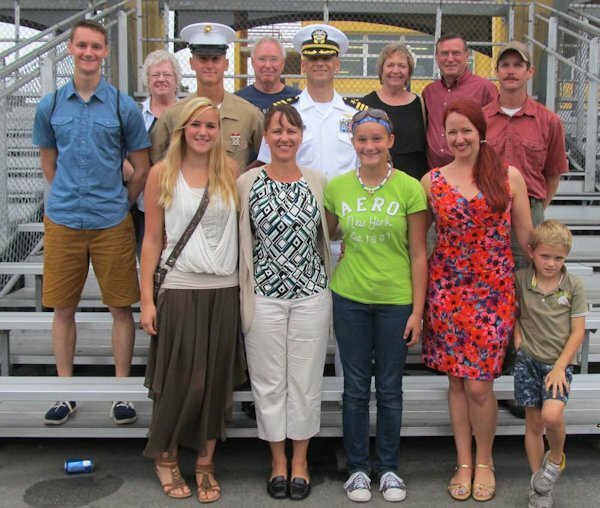 Those attending the Marine Corp Graduation of Caleb Galbraith in San Diego, California on October 16, 2015, were: front row l-r: sister Jessica, mom Melissa, and sister, Abby Galbraith, aunt Elizabeth and cousin Willie Steffen - Second row l-r: brother Steven and Caleb Galbraith, Uncle Randy Steffen, and dad Scot Galbraith - Third row l-r aunt Nancy and uncle David Galbraith and grandma and grandpa Susan and Steven Galbraith. A wonderful celebration of a young man wanting to serve his country.